Missing Vans at Wellbeck. 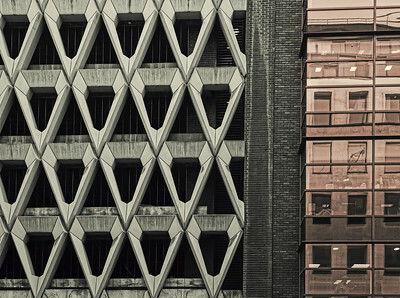 Another image for the Wellbeck Car Park series illustrating the general neglect of this magnificant building. 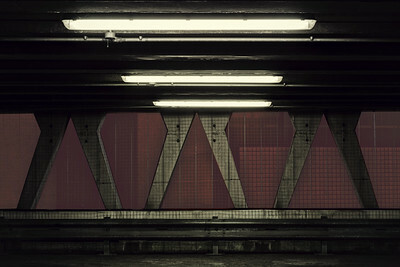 These are images from my on-going Wellbeck Street Car Park project. 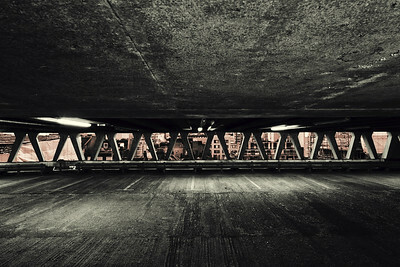 This car park was constructed in the early 70’s to serve the shoppers of Debenhams in Oxford Street. 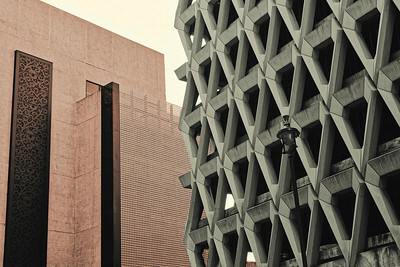 It was designed by Michael Blampied & Partners and features an elaborate facade of prefabricated concrete. Whilst still in use, the car park has fallen into neglect and approval was granted in August 2017 to demolish this magnificent building. Originally it was thought that a re-development of the existing building would not be possible due to the low ceiling heights. However, in October 2017, an architectural studio developed an alternative proposal to preserve the building’s exterior. The purpose of these images is to provide a historical record of this building. 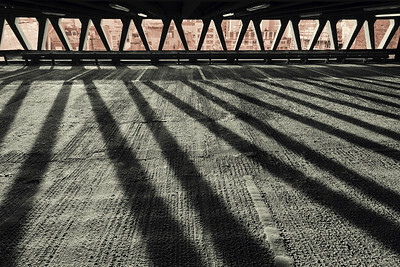 The use of black and white and a monotone red hue in this series of images is both symbolic and is used to emphasise form and structure. In particular, the use of monotone red instead of full colour has been used to suggest that new is not better than old.